3000 mile road trip!! What a trip we take in a micro-camper with the Duncan family! On the verge of breaking up, his business needing this publicity tour and a take along, for now, foster son. Ups, downs, some very serious moments and a few made me smile moments. Always some life lessons to learn when I read a Cynthia Ruchti novel. D’S QUILTS & BOOKS, October 31 *You are here.. I was gifted a copy to participate in this book tour, my participation is voluntary..
What is sweeter than a first love? Finding them again and still feeling it! I liked that this collection covered men and women. 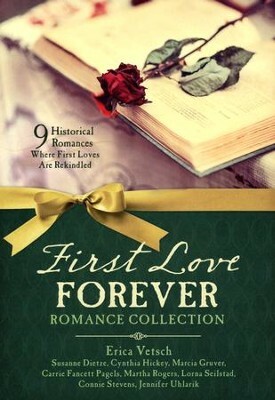 I enjoyed this selection of love stories and the diversity of this collection. 1905 – New Orleans: Erstwhile fianc&eacute;e Natalie Morrison is the last person Dr. Mackenzie wants as his new nurse, but when an epidemic hits, Phin finds she’s come back into his life at the perfect time. Susanne Dietze began writing love stories in high school, casting her friends in the starring roles. Today, she’s the award-winning author of a dozen new and upcoming historical romances who’s seen her work on the ECPA and Publisher’s Weekly Bestseller Lists for Inspirational Fiction. Married to a pastor and the mom of two, Susanne lives in California and enjoys fancy-schmancy tea parties, the beach, and curling up on the couch with a costume drama and a plate of nachos. 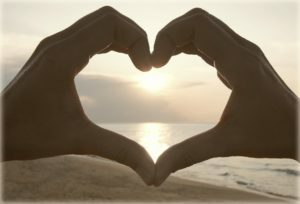 You can visit her online at http://www.susannedietze.com and subscribe to her newsletters at http://eepurl.com/bieza5. Marcia Gruver’s southern roots lend touches of humor and threads of faith to her writing. Look for both in her Texas Fortunes and Backwoods Brides series. When she’s not perched behind a keyboard, you’ll find her clutching a game system controller or riding shotgun on long drives in the Texas Hill Country. Lifelong Texans, Marcia and her husband Lee have five children. Collectively, this motley crew has graced them with a dozen grandchildren and one great-granddaughter—so far. ECPA-bestselling author Carrie Fancett Pagels, Ph.D., is the award-winning author of over a dozen Christian historical romances. Twenty-five years as a psychologist didn’t “cure” her overactive imagination! A self-professed “history geek,” she resides with her family in the Historic Triangle of Virginia but grew up as a “Yooper” in Michigan’s Upper Peninsula. Carrie loves to read, bake, bead, and travel – but not all at the same time! You can connect with her at http://www.CarrieFancettPagels.com. Lorna Seilstad brings history back to life using a generous dash of humor. She is a Carol Award finalist and the author of the Lake Manawa Summers series and the Gregory Sisters series. When she isn’t eating chocolate, she’s teaches women’s Bible classes and is a 4-H leader in her home state of Iowa. She and her husband have three children. 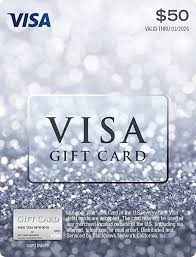 Learn more about Lorna at www.lornaseilstad.com. CONNIE STEVENS lives with her husband of forty-plus years in north Georgia, within sight of her beloved mountains. She and her husband are both active in a variety of ministries at their church. A lifelong reader, Connie began creating stories by the time she was ten. Her office manager and writing muse is a cat, but she’s never more than a phone call or email away from her critique partners. She enjoys gardening and quilting, but one of her favorite pastimes is browsing antique shops where story ideas often take root in her imagination. 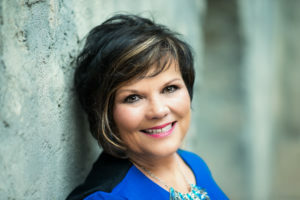 Connie has been a member of American Christian Fiction Writers since 2000. Jennifer Uhlarik discovered the western genre as a preteen, when she swiped the only “horse” book she found on her older brother’s bookshelf. A new love was born. Across the next ten years, she devoured Louis L’Amour westerns and fell in love with the genre. In college at the University of Tampa, she began penning her own story of the Old West. Armed with a BA in writing, she has won five writing competitions and was a finalist in two others. In addition to writing, she has held jobs as a private business owner, a schoolteacher, a marketing director, and her favorite—a full-time homemaker. Jennifer is active in American Christian Fiction Writers and is a lifetime member of the Florida Writers Association. She lives near Tampa, Florida, with her husband, teenage son, and four fur children. This story is one of a couple very much in love but so far apart in the skill of good communication. AND.. He writes books on marriage! When a tragic accident on an icy night leads to questions he can only guess at.. I kept wanting to shake him and say, “Get all the facts Josiah!” Josiah’s emotional thoughts are powerful. This was a story of pain, sorrow, faith and yes.. joy! Get this one, it’s one that will touch you! Purchase your copy HERE.. I highly recommend this one! ABOUT THE BOOK: Josiah Chamberlain’s life’s work revolves around repairing other people’s marriages. When his own is threatened by his wife’s unexplained distance, and then threatened further when she’s unexpectedly plunged into an unending fog, Josiah finds his expertise, quick wit and clever quips are no match for a relationship that is clearly broken. 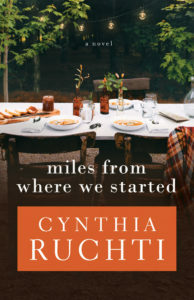 Cynthia Ruchti tells stories hemmed in Hope through her novels and novellas, speaking for women’s events and retreats, writers’ events, nonfiction books, and devotionals, drawing from 33 years writing and producing an on-air radio broadcast. Her books have been recognized by RT Reviewers’ Choice, Selah Awards, Gayle Wilson Award of Excellence, CR’s BEST Awards, Carol Award honors, Family Fiction Readers’ Choice Award, ForeWord Reviews Book of the Year honors and others. She has a total of 18 books on the shelves, with more contracted. She and her plot-tweaking husband live in the heart of Wisconsin, not far from their three children and five grandchildren. I was gifted a copy to participate in Cynthia Ruchti’s “a fragile hope” book promotion.. I was gifted a copy of A Christmas Stamp and what a sweet holiday romance! Lilly and Calvin are thrown together when Calvin hits her with his truck and the romances began. So much happened in this 64 page short story. Noel, Missouri wants to be a town to send your Christmas letter to and get it stamped with a pretty Christmas stamp from Noel. Then forwarded on from “A Christmas City”.. Lilly and Calvin are appointed to make it happen. Because of the new party line telephone system a contest is suggested and in short time the whole town jumps in to help. I liked this story, it was short, sweet and had plenty of action. Clicking on the book will take you to Amazon to read more about A Christmas Stamp!